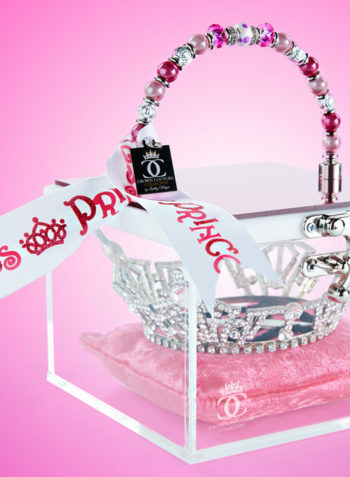 This beautiful Crown Carrying Case is perfect for keeping your treasured crown safe. 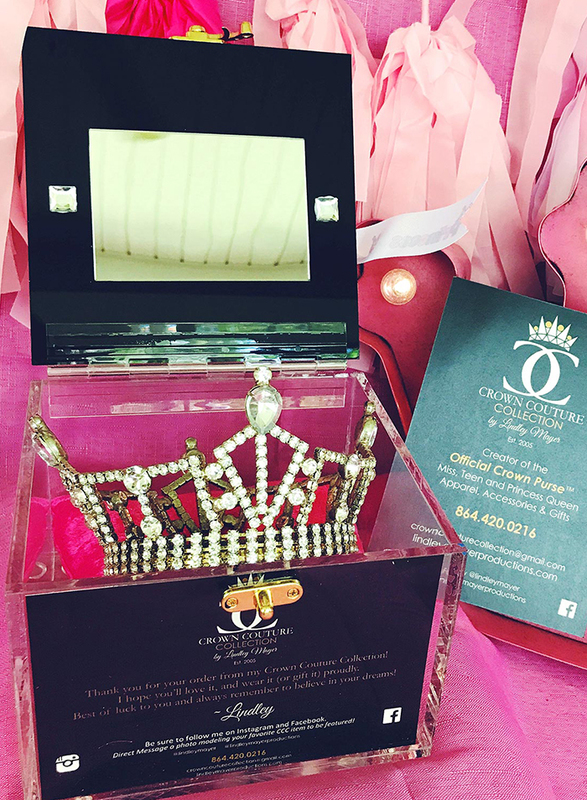 With handmade beads, high quality materials, mirror inside for last minute touchups and a customized name plate; Youll be the hit of every event. 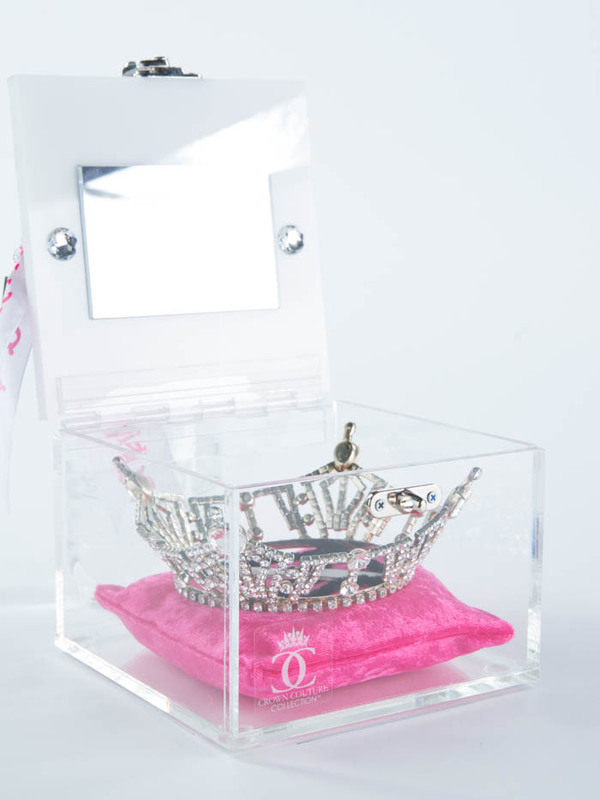 It can be customized to fit your crown size and can also be used as a place to display your crown after your reign. 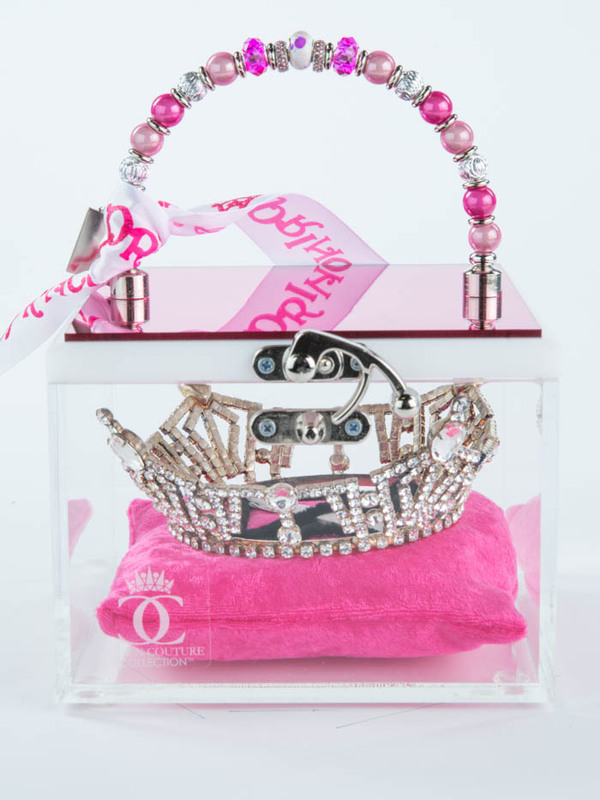 You can showcase your favorite photos and be classy at any event with this fabulously chic Crown Clutch! 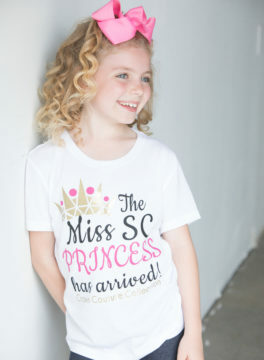 Email for more information regarding sizing! 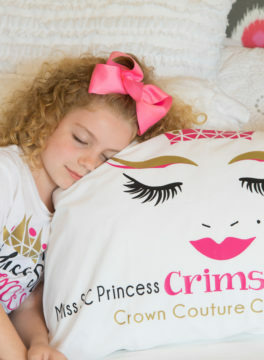 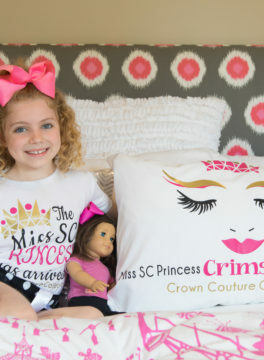 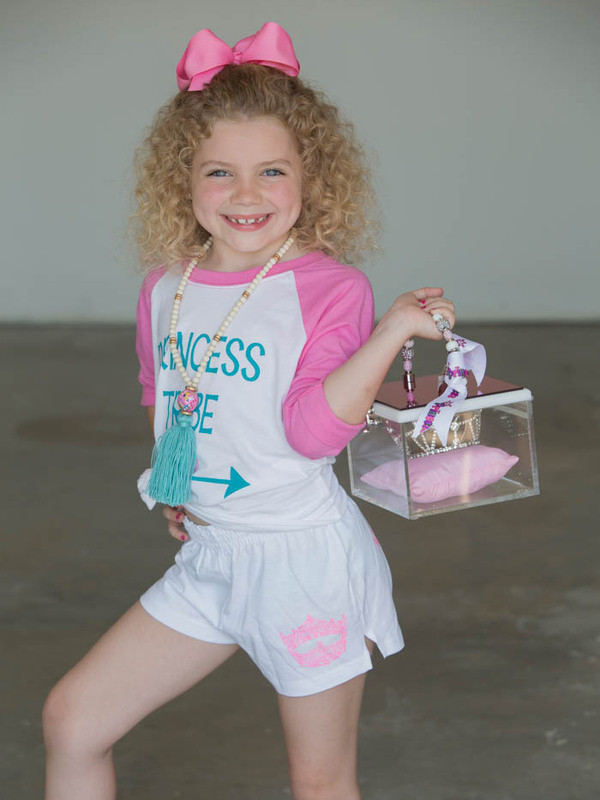 This Princess box comes with Pink pillow, matching Princess ribbon, crown charm and care instructions inside!